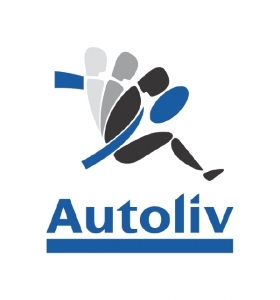 STOCKHOLM (Bloomberg) -- Autoliv Inc., the world's largest maker of automotive airbags and seat belts, has about $1 billion to spend in Japan and fast-growing segments such as electronic accident prevention, CEO Jan Carlson said. Autoliv is interested in buying companies in Japan, where its 20 percent market share in the country is lower than elsewhere, Carlson said. Autoliv has a 35 percent share globally, including about 40 percent in Europe and North America. The company is holding “loose discussions” with potential sellers, Carlson said, without identifying candidates. Global car production has rebounded from the recession, spurring sales of seat belts and airbags. About 70.3 million cars will be built in 2010, up from 57.4 million last year, IHS Automotive forecasts. Production may surpass 91 million in 2015, the industry analyst predicts. Outside Japan, Autoliv is mainly pursuing acquisitions of companies making “active-safety” products, which include radar and other electronic equipment that help prevent accidents, Carlson, 50, said. While this segment's volume is many times smaller than the market for seat belts and airbags, its growth pace will be “much faster,” he said, adding Autoliv this year will sell almost $100 million worth of active-security products. Autoliv has the capacity to spend about $1 billion on acquisitions by using existing cash and borrowing funds while still not “burdening the debt grade too much,” Carlsson said. Its net debt at the end of September was $338 million, down from $878 million a year earlier. Autoliv expects fourth-quarter revenue to grow 15 percent and the operating margin to hit 12 percent, Carlson said, maintaining an earlier forecast. Brazil represents one of Autoliv's biggest growth opportunities, Carlson said, noting that starting in 2014 all cars sold in the country must be equipped with front airbags. Autoliv, whose Brazilian market share is between 40 percent and 45 percent, said last month it's started construction of an airbag inflator factory near Sao Paulo. In China the company has invested between $90 million and $100 million in expanding and upgrading some of its 11 local factories. Autoliv aims to boost its share of the Chinese market to 35 percent by 2012 from today's 30 percent, Carlson said. Autoliv ranks No. 28 on the Automotive News Europe list of the top 100 global suppliers, with sales to automakers of $5,12 billion in 2009.